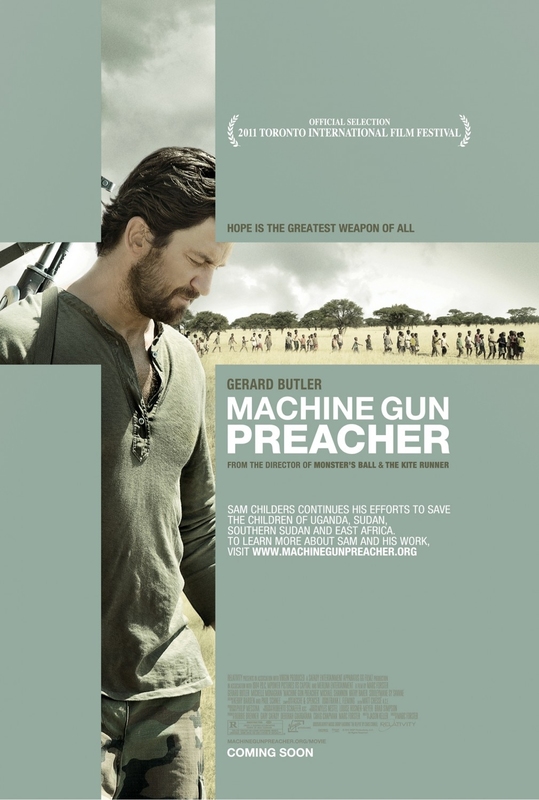 The last news about Machine Gun Preacher. Watch the movie trailer soon. 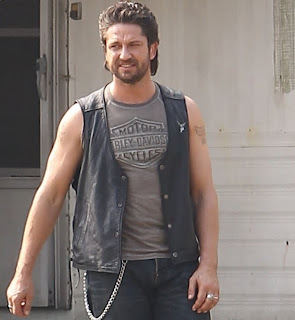 looks like the Machine Gun Preacher is going to be a great movie. Impatient to see the whole thing. Machine Gun Preacher - Look at the picture! 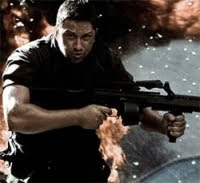 Machine Gun Preacher - I love you too Dad. 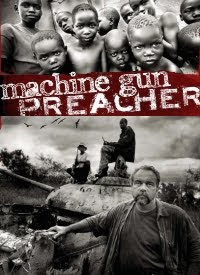 Machine Gun Preacher - God gave you a purpose. 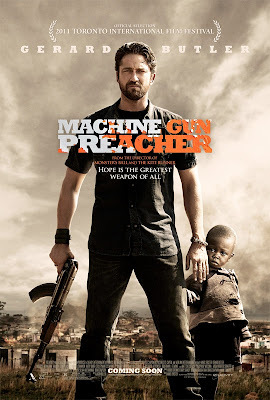 Machine Gun Preacher - No cheating! That guy is a real American hero and his story definitely deserves to be the focus of a film! Hope is the greatest weapon of all! 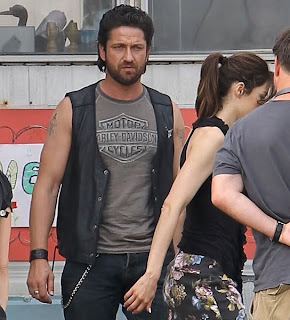 Actor Gerard Butler doesn't look that bad as a biker. Impatient to see his performance in the Machine Gun Preacher movie. Director Marc Forster (who once brought us the James Bond movie Quantum of Solace) is working on the Machine Gun Preacher, an upcoming biopic that chronicles the true story of Sam Childers (pictured above), a biker preacher-defender of Sudanese orphans. 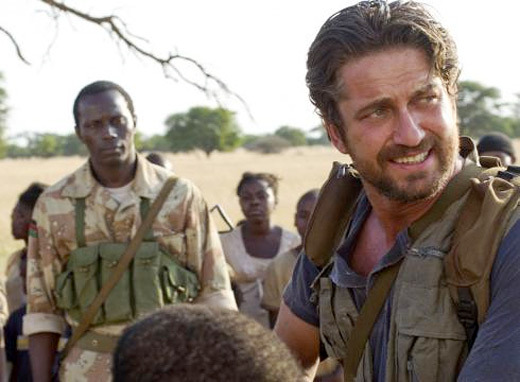 Scriptwriter Jason Keller wrote the screenplay based on the memoir "Another Man's War: The True Story of One Man's Battle to Save Children in the Sudan". The movie Machine Gun Preacher is starring Gerard Butler, Michelle Monaghan, Michael Shannon, Madeline Carroll, Kathy Baker and Souleymane Sy Savane. The film will be released in September 2011. "Sam Childers has always been a fighter. Born to a violent father and a mother of great faith, his life was a contradiction. 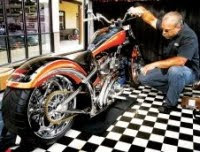 With an affinity for drugs and women, the angry young man grew into a drug-dealing biker. But that was then. Nowadays Sam-along with the cadre of Sudanese soldiers he employs-spends his time in the most dangerous parts of Sudan and Uganda rescuing the youngest victims of war, orphans and child-soldiers. His mission is simple: save the children, no matter the cost." "[Sam Childers] picks up a machine gun and is fighting the rebels with guns, grenades, machine guns in order to go and rescue some of these kids. He basically became a warrior and lived both-- he's still a preacher back in Pennsylvania and he's still a warrior down in Sudan." Sounds like a great story that definitely deserves to make it to the big screen. 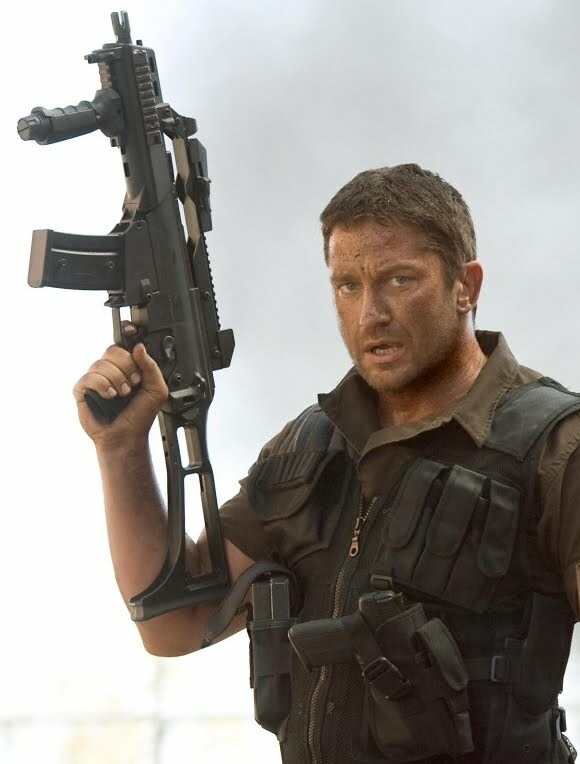 And I think that Gerard Butler is the perfect actor for this role. Let's hope that the film will help Sam Childers' cause and the children he's fighting for: don't miss the movie Machine Gun Preacher when it comes out in theaters!